*PDF PATTERN* Please read all info below for download instructions! A link to this pattern be emailed to you immediately. 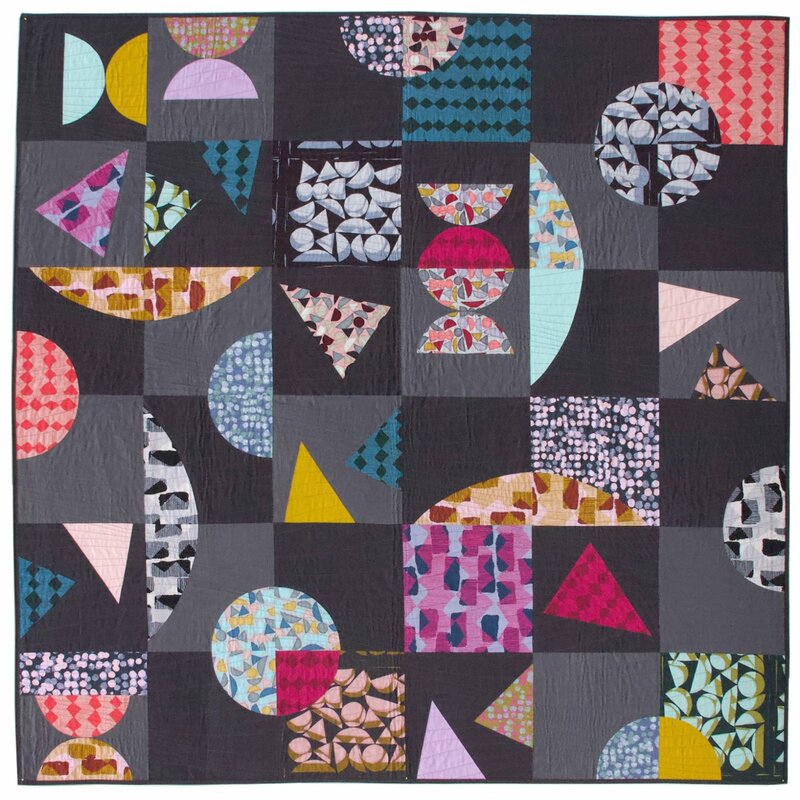 The Vestige Quilt is a fresh display of geometry and smooth curves that highlights the trademark Bookhou artistic point of view. Even if you are new to curves this is a friendly challenge that comes together much more simply that you may think. We alternated the background between almost black and dark gray, to emphasize Bookhou's clear palette, but feel free to improvise! **COMING SOON!! ** Get your kit for this quilt right here!